INTRODUCING the Madeline Bag. 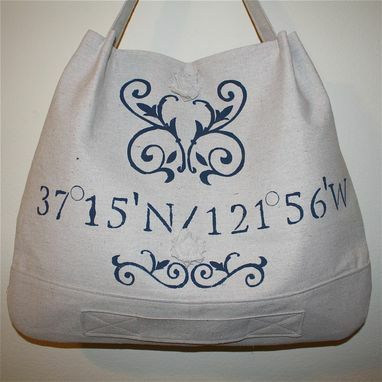 This is a slouchy handbag that you can personalize. Made of cotton blend canvas. 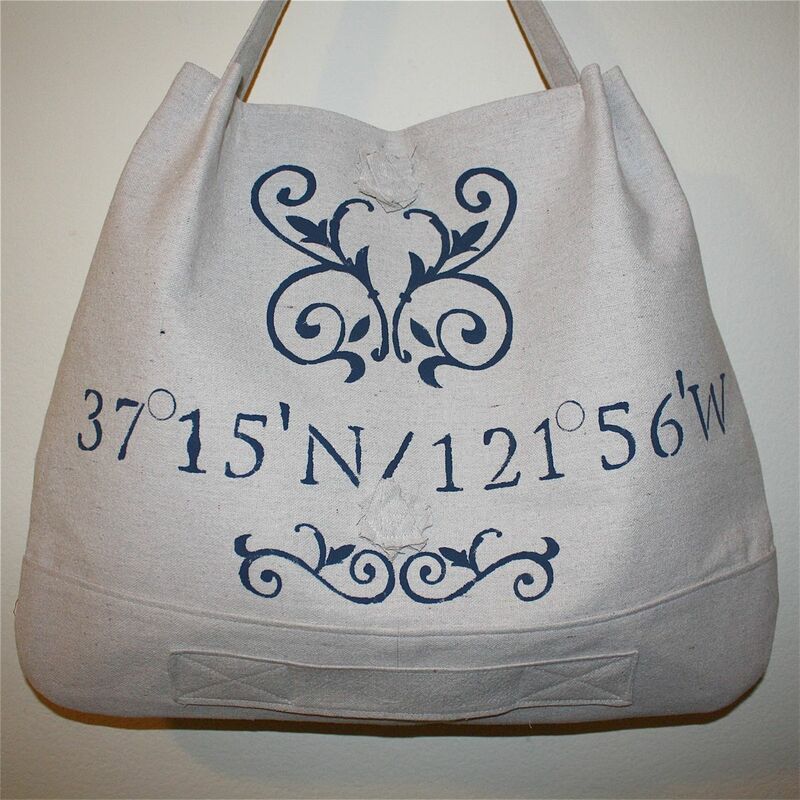 Tell us the city you were born in, married in or favorite city to travel to and we'll stencil the latitude and longitude along with decorative swirls. The lining is striped seersucker with two pockets on either side. Dimensions: Approximately 18X20 with a drop of 12 inches.